There are a number of things you need to do before you can start making money if you want to start a medical billing home-based business from scratch. Use this list to help you understand the various components. We've also included some tips on how to keep your initial overhead costs low to help you get set up faster. Interested in starting a medical billing business of your own? 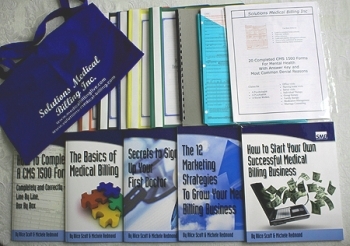 We recommend the Medical Billing Business in a Box, a collection of ebooks covering pretty much every topic you need to know start up and become successful. Learn more about it here. 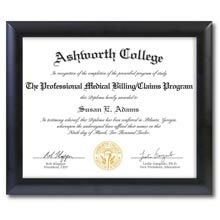 First of all you'll need to be educated in medical billing and coding procedures and guidelines. There are lots of online and face-to-face programs available, all designed to prepare you for the medical coding and billing certification exams. Programs are available in a range from one year to four years depending on your level of education. Longer programs tend to be available through traditional college and universities as part of degree programs. Shorter programs are often available online or through community colleges. Some programs focus on the entire medical field, and others focus on only helping you prepare for the certification exams. The cost of these programs varies depending on where you go to school. Online universities tend to cost much more than traditional schools and usually lack financial aid options. If you choose to go through a more traditional route you may be eligible for financial aid. See: medical billing and coding schools list. Once you've completed your education you'll have to pay for your certification exam. This is the first in what will be several costs in starting your medical billing business. Your other major cost will be establishing your home office (if you decide to work from home). basic office equipment like a desk, chair, and filing system. You can customize the software depending on the amount of clients you work with and your overall volume of work. Some software programs go for as little as $100 per month and are entirely web-based. Others require a full software download and cost a few thousand dollars to get started. If you're just starting a medical billing business we recommend to go with a cheaper, web-based medical billing software until you have a client portfolio that merits a more robust program. Just make sure that the cheaper program still meets your client requirements! You'll also have to pay for your connectivity. Your clients will need to reach you easily at all times during the day - you must create a fast, reliable system of communication. 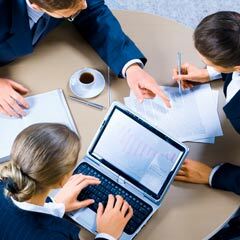 An important business task is to find a suitable accountant. You'll be taking in payments from a variety of sources and be responsible for paying your own social security and payroll taxes. Most people don't have the training to manage these payments. 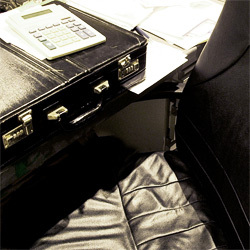 A small business accountant can definitely help. Your clients may also want to communicate through an online video feed. Total costs for these items may be as little as a few hundred dollars, or as much as a few thousand. There's no definite way to gauge the accumulated cost of these investments. It depends on how much you want to invest before you begin. If you decide to rent office space when starting a medical billing business you'll incur a monthly rental cost on top of the supplies noted above. Add this to the list. Marketing is a huge success factor any time you go into business. But it can be intimidating if you've never done it before. Business cards are still an important part of business networking. They're a quick and easy way to advertise yourself in face-to-face situations. They also serve as a reminder and a reference for potential clients. Your business cards should be professionally printed on high quality paper. People often see your business card as a mini-resume and use it to judge how capable you are. Creating these through a printing and design service typically costs several hundred dollars. Creating a website: You should create a professionally designed website that provides potential clients with information about your background and the services you offer (including any specialities). Include all of your educational training, relevant experience, and any professional references or recommendations. A simple website will also cost several hundred dollars for a designer to create. Don't opt for expensive design agencies touting several-thousand dollar high-end designs. These have a negligible impact on your marketing, and the extra expense is better used elsewhere. Look for professional networking events in your area. Use insurance seminars, health fairs, and other events for medical billers or doctors as a means of getting out and spending some "face time" with others in your industry. People are more likely to call on those that they've met in person, rather than a name in the phone book. Click for more information on marketing a small business. If you're looking for great ways to market your medical billing business, we recommend the ebook Advanced Medical Billing Marketing for the New Economy, written by an experienced mother/daughter team of medical billers. Marketing yourself shouldn't end when you get the client. You need to continue to market yourself to make sure you're reaching all potential clients. This was you can achieve maximum growth after starting a medical billing business. Ensure quality by providing fast, reliable billing services. Always be in contact with your clients. Providing quality, reliable service is the best way to make sure that your clients will refer you to their friends. Consider promoting yourself online or in nearby towns. To keep growing your business it's important to keep promoting yourself even if you have enough clients. Promoting yourself online can be an easy and low-cost way to keep your name in mind with health care professionals. If you live in a metropolitan area with outlying suburban areas, consider marketing yourself to healthcare providers in these places as well. But don't overdo it! If your client load is large and you are barely making the deadlines, consider taking on a part-time employee or some other help before marketing yourself further. For more about getting up and running, see part 2 of starting a medical billing business: handling logistics and the law. For more information on running a medical billing and coding business, see: generating more revenue for your medical billing and coding business. Check out the Medical Billing Business in a Box for everything you'll need to get up and running.